I got the Gold Mine because it was big and I was envisioning a good usage for the mountain bricks. And what the hell because it looks very nice. When I bought it I found the mountain bricks are in fact a few big parts… but anyway… let’s review it. 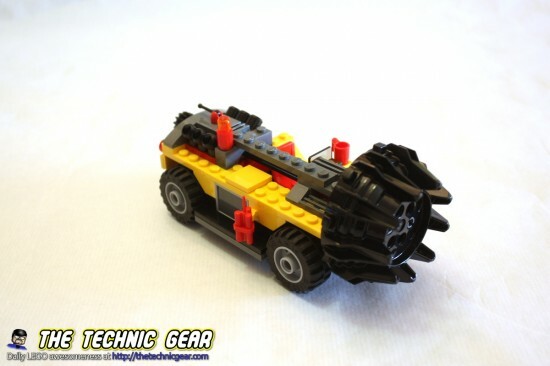 Where can I buy LEGO 4204? 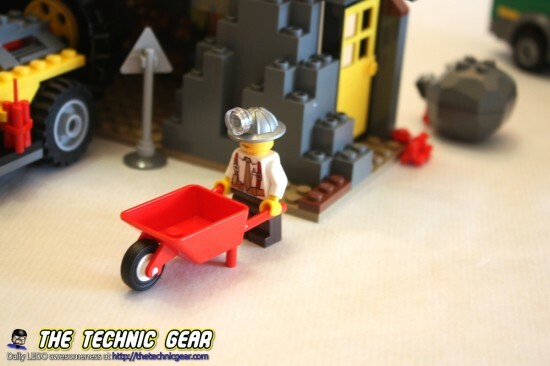 The Mine is a busy place, full of miners digging for gold! Break up the rock with the big drilling machine and transport it out of the mine with the train. Then load it onto the conveyer belt with the crane and haul it away with the truck! There’s even a safe to keep the gold inside. 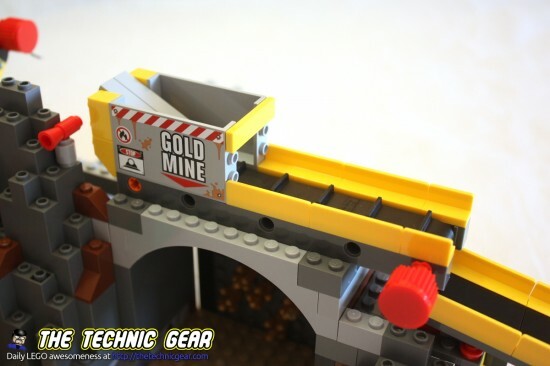 Help the miners find even more gold by blasting with the dynamite! 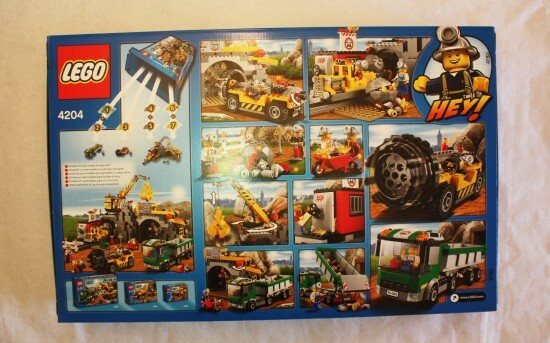 Includes 4 minifigures: crew chief, crane driver, driller and truck driver. • Drill for gold nuggets! • Haul the rocks with the train! 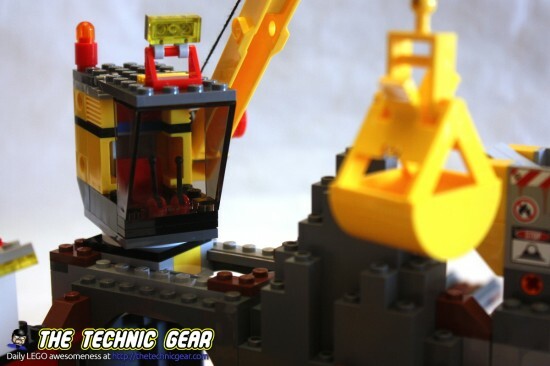 • Operate the conveyer with the crane! • Lock the gold in the safe! This set comes in a big box like it is the norm on expensive LEGO sets. This sets comes with seven plastic bags with all the parts. And this is the back part of the box. This set comes with four manuals. This is a fun set to build. I have been a bit disappointed with the mountain bricks as I was expecting real bricks and not that cheap alternative. The truck head is quite nice and the mine train looks great for its size. Here is the timelapse building and video review. This is the complete model. The mine has several interesting parts. It has a superb office/safe box were the gold is stored next to the train tracks. Just over it there is a crane that it is use to load the bucket with gold and rocks from the train and a bit to the right you have a transport track that takes rocks from the bucket to the truck. 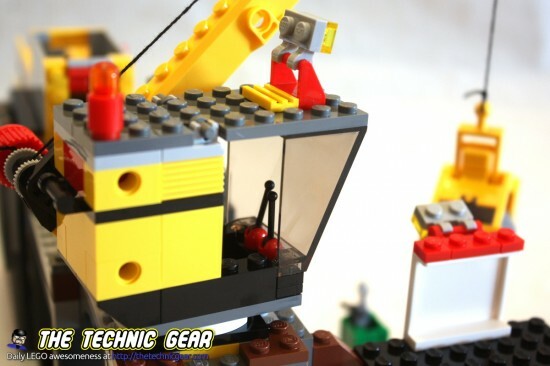 The crane is nicely done with very little but highly specific parts: LEGO this is quite close to cheating!. It can rotate over its axis and lower or raise a claws that takes rocks. I really love the way the train looks. 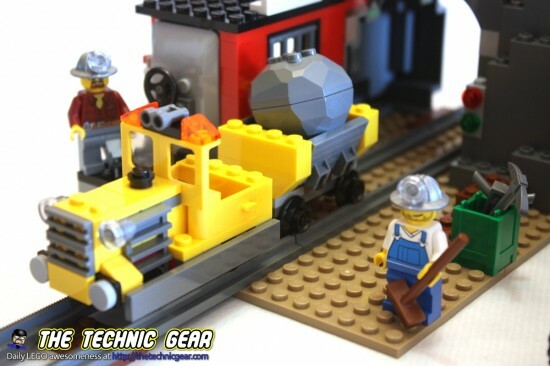 It is a narrow track train with only 4 studs width but that looks really nice and close to the original. I have mixed feelings with this truck. It really looks quite good but the way the back part is done… so few parts… it feel pretty much like a Playmobil. 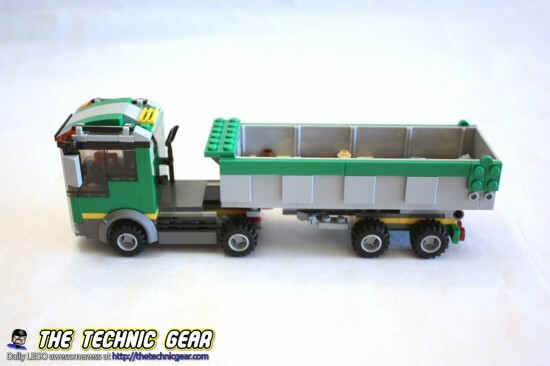 Still… it is a good looking LEGO truck. 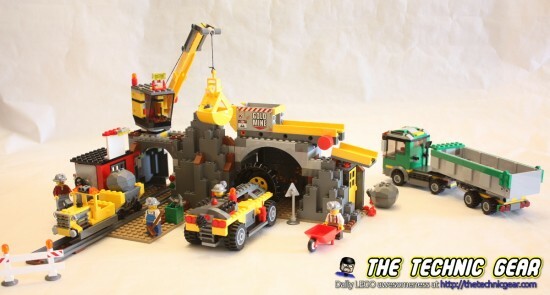 – The built set looks really nice. 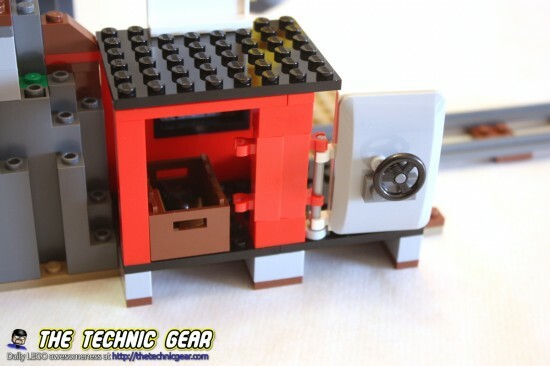 Does LEGO 4204 worth the money? Dunno. I have mixed feelings. The full set looks nice and it is big but on the other hand there aren’t so many parts on a set so expensive. 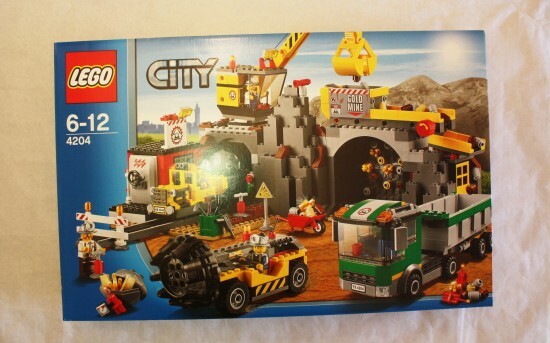 Decide yourself, if you have an extra pocket money, this set does a nice acquisition but it won’t be my first option for LEGO City.